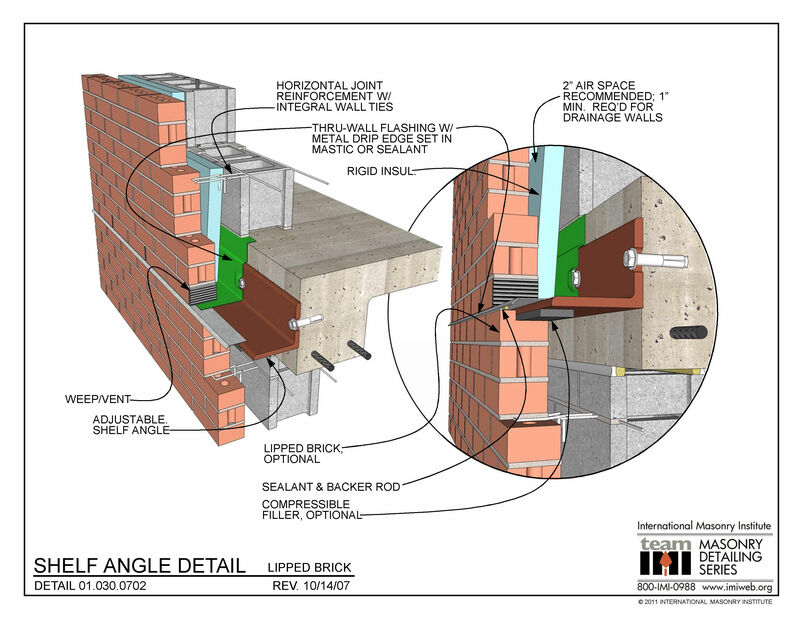 This shelf angle detail uses a lipped (notched) brick below the shelf angle to avoid creating a horizontal expansion joint below the angle that is excessively wide. The shelf angle is flashed with flexible thru-wall flashing, transitioning to more durable sheet metal flashing drip edge at the exposed portion. The wall has a 2″ clear air space for drainage, and weep vents are spaced at 24″ o.c. 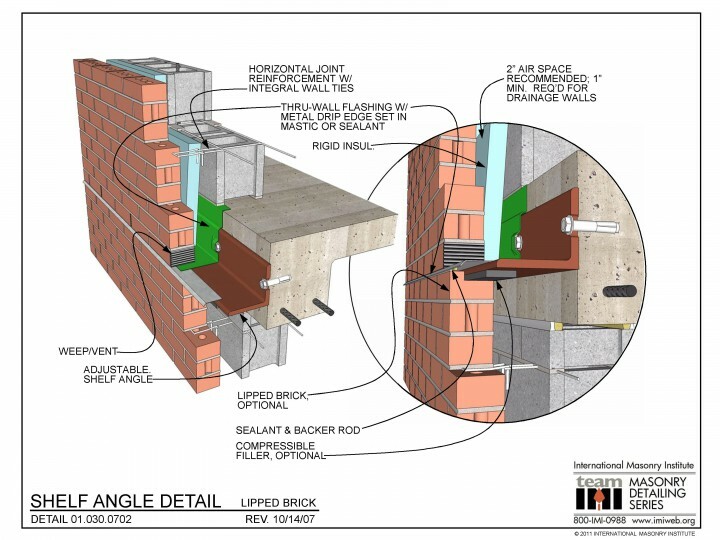 Rigid insulation resides in the drainage cavity.